Gaming’s biggest wargame publisher goes fantasy; BattleCON returns in an ultimate edition, and the Road to Essen continues in this week’s News Brief. The wargame publisher goes fantasy with this 2-6 player intro-level title about spellcasting in a fantasy realm. Now up on their pre-order system (where 500 pre-orders means the game gets made), here’s what GMT has to say about the spell system. Every wizard has three signature spells that provide the basis for their strategy, but wizards will also discover one-use scrolls that provide rare magical effects. Some spells can only be cast on your turn, but many can be played instantly to disrupt opponents, dodge away from incoming attacks, or combine with other spells, strengthening or subverting the original caster’s intent. It’s no Fire in the Lake or Twilight Struggle and that’s a good thing. The recent runaway success of Root and the critical success of The Expanse proves there’s a market for the wargame genre to break into the boardgaming sphere, especially with themes that aren’t centered around real-world wars. I for one am dying to see more of this kind of thing wrapped in the themes I dearly love. 7 years after BattleCON: Devastation of Indines achieved massive critical success, the BattleCON 2 player fighting game line has grown unwieldy with expansions, new fighters, and other assorted paraphernalia – wouldn’t you just like one single release to contain everything the series has ever produced AND a box to store it in? Along with some balance changes and new fighters, the campaign allows several layers of buy in, including tiers for those who already own part of the series. If you have room for a 1 vs 1 game about anime fighters in your life, BattleCON is one of the best-reviewed games of all time and you should check out this campaign, or see all the BattleCON products we have in our store. 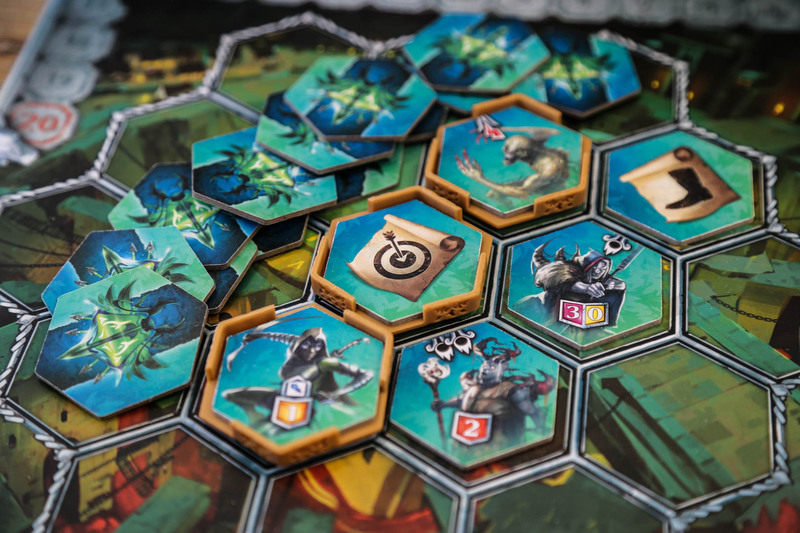 Portal Game’s newest offering is a tactical arena game by Michal Oracz, (Neuroshima Hex, This War of Mine, Cry Havoc) that offers 2 to 4 player action in 45 minutes, three dimensional monoliths that gain in power when attacked, and tight combat in a small space. Microbrew is a puzzle slash worker placement game for two (or four with 2 tins) players about making sure your beer components line up. It looks fun and is pretty small, so go check it out! Promising mythical Celtic battles with adventure in arcane, far off lands – The Waylanders looks gorgeous, has tons of minis, and does something new and interesting with the competitive tactical battle space, including their emphasis on formations and positioning. Key Flow is the next game in the Key series, this time a card game of village building and farming, a classic board gaming theme. Keyflower has enjoyed a 6 year run in the BGG top 50, and Key Flow looks like it’ll be worth your time. Thank you for reading the news brief and for following our Road to Essen coverage so far! We’ll have more Road to Essen spotlights coming this week, so stay tuned!